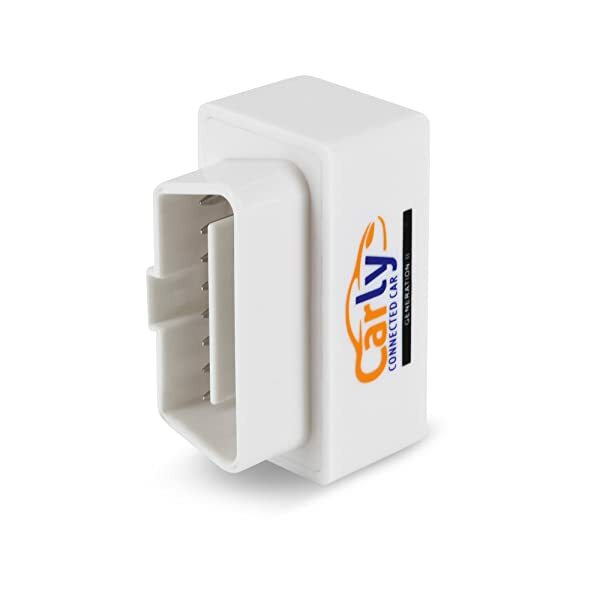 Want to read honest reviews of Carly for BMW OBD2 Bluetooth Adapter? Then you’ve landed on the right page. Carly for BMW gives you the convenience of a diagnostics checks at any time from the convenience of your phone. What’s more, you can easily code your car, using the app, to your suitability. 4 Who Is It Built For? If you own a BMW, then you know that the company will charge you a whopping some money to hook up your car. This could potentially be expensive if you run diagnostic checks regularly. This is the niche that Carly for BMW sought to take advantage of. The company created a special diagnostics app. The app can run a comprehensive diagnostics check on your car. Carly for BMW gives you the convenience of a diagnostics checks at any time from the convenience of your phone. What’s more, you can easily code your car, using the app, to your suitability. You could have autonomous control of some functions of your BMW by using the app. For the app to run, you need to have an adapter. The adapters are made by the company and work well with the app. Carly for BMW is specifically made for BMWs. The device works on most BMW models that were manufactured after the year 1994. This particular adapter, however, only supports fully a particular group of BMWs. The adapter is compatible with vehicles in the X series. These are X1, X3, X5 and X6. The particular models are E84, E70, E71, E72. 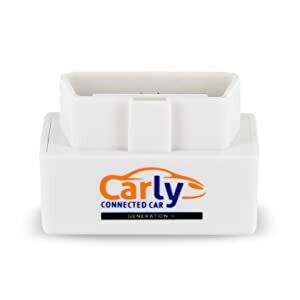 The particular Carly for BMW adapter, however, is specifically limited to Android phones. This means that if you have an iOS device then you should not purchase this adapter. The display, albeit functional, is a bit bland. It shows you all that you need to know about your car. However, it is not colorful or bright just a bland orange color. The question is, how much this appearance matters to the user of the application. To a BMW owner who only cares about the degree of functionality of the app, this application is ideal for them. But if you care more about the appearance of the application then this app might put you off. Everything you need, though, is on the screen. The software performs a comprehensive diagnostics check. Carly for BMW conducts a comprehensive check of the electronics in your car. It checks them to make sure they are performing at their optimum. In addition to this, Carly for BMW informs you which electronics are likely to malfunction based on certain algorithms. Perhaps the best feature of Carly for BMW. The application gives you a wide capability to code. Coding will not only help you to customize your car electronics to your suitability, but you can also change the code in about 100 different things. Among the aspects you can change are the warning beep for not wearing seatbelts. The first thing that most people do is change the coding for the side mirrors so that the side mirrors fold after you switch off the car. Carly for BMW gives you the convenience of a diagnostics checks at any time. As you get more familiar with the application you begin to tweak more with your electronics. You could even change the display to play your videos directly from a USB flash drive. However, Carly for BMW makes the service cheaper for you. The system analyzes all of the gauges in the engine just like an expert would. This gives you a clearer picture of how the electric parts of your engine are doing. It is important that you thoroughly check any used car that you are buying. The best way to do so is by bringing a certified mechanic to the transaction. However, there are electrical lines that a mechanic could easily miss. This is where the Carly for BMW comes in handy. Carly for BMW performs a proper diagnostics check on any vehicle within the compatible models. The check makes sure you do not get a bad deal on a second-hand car. In addition to this, Carly for BMW informs you of the exact state of the car. You can alter several electrical aspects of your car. Services that could cost you a lot of money. Having the ability to diagnose your car at the convenience of your palm means you will perform the checks more regularly. The result is that you will be aware of any issues beforehand and you can take corrective measures. The result is a healthier car. The app has several important in-app purchases that could make the app expensive to run. The application, Carly for BMW, is designed for car enthusiasts. 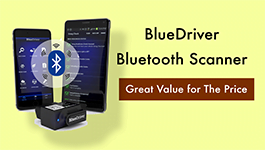 The application is specifically designed for BMW owners with android phones as it only works on the Android OS. The owner should be versed with the various components of the car. So that when a particular warning comes on they will understand what it means. Check Engine Light On: What Does It Mean? Why? In this post, we’ll talk about issues related to the Check Engine Light. What Does It Mean? Why Is My Check Engine Light On? Launch X431 V+ is a tablet diagnostic tool for drivers who want to conduct a full system diagnosis to find faults in the car. This article will definitely save you loads of time and effort when choosing the Best Power Inverter suited for your car needs. 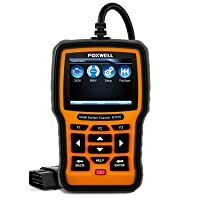 Looking for the best Toyota scan tool for yourself? 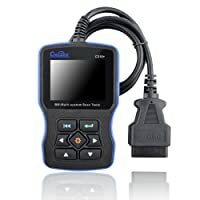 In this review, we will walk through the 5 Best OBD2 Scan Tools for Toyota vehicles in 2019.